Forget the watery eyes and smoky smelling clothes! 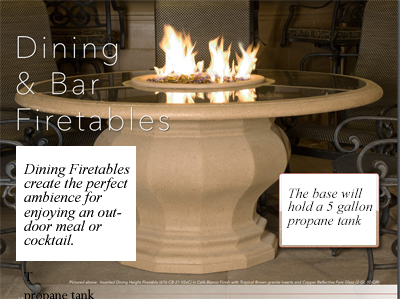 Gas fire pits offer a clean and convenient way to enjoy a fire outdoors with no fuss, and are legal to install in places that just can't work with a real wood fire. They're easy to light and to extinguish. There's no fuel to store and tote, no ash to clean up. While wood burning fire pits must be at least 25' from the home or other combustible surfaces, gas fire pits can be as close as 10' away. This offers much greater design versatility for city homes with smaller yards. 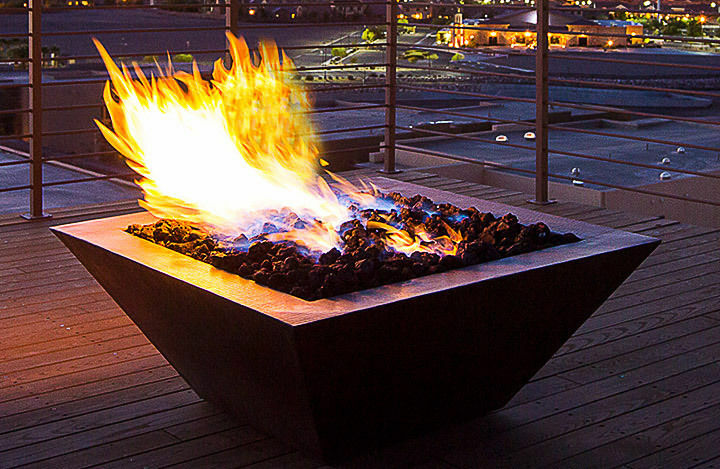 A gas fire pit can even be installed on a rooftop, deck or balcony with proper planning. Choose from NATURAL GAS or LP GAS MODELS. 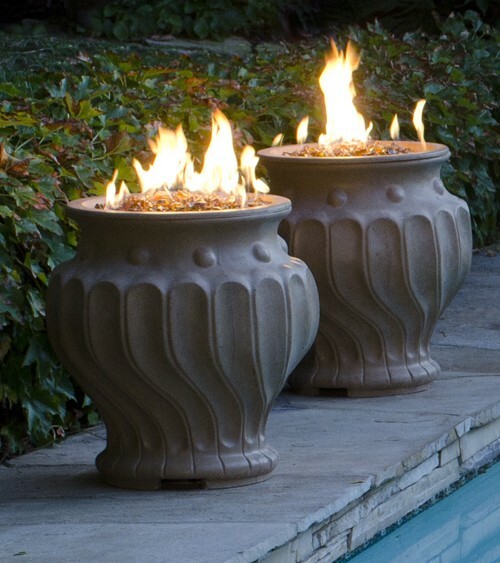 If your home has natural gas service, it will definitely be worthwhile to run a natural gas line to your outdoor gas fire pit. Natural gas is far cheaper than propane and produces a more robust flame. If natural gas isn't available then all models are available in LP gas as well. 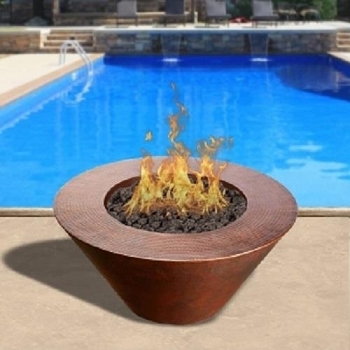 Whether you want to build a custom design from a kit or prefer the simplicity of a self-contained style such as a gas fire bowl, we've got a huge range of choices for you. 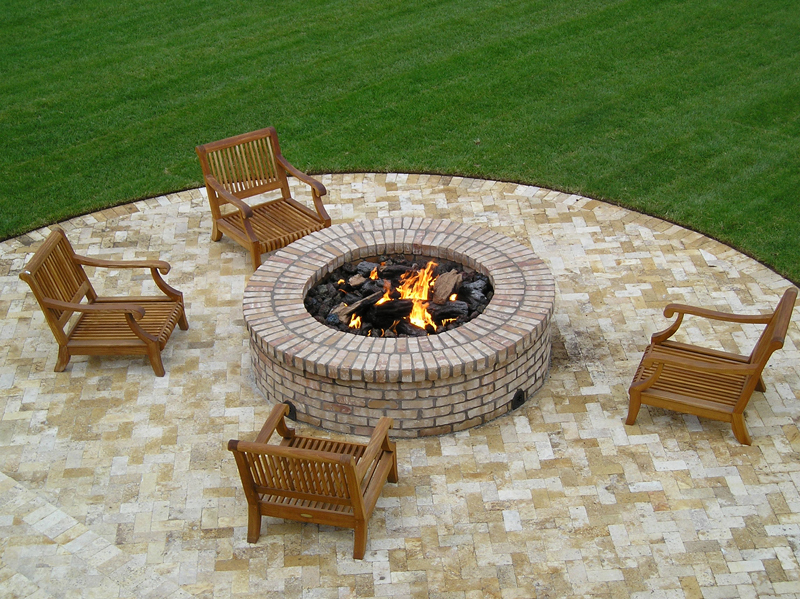 We're your local experts in custom fire pits. 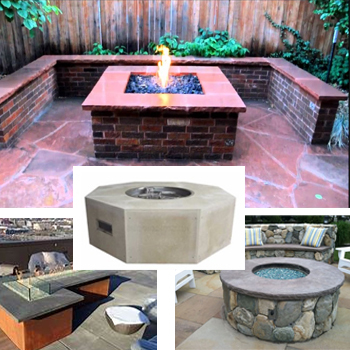 We have decades of experience in masonry so we can design and build your brick or stone fire pit, or apply hard scaping to your fire pit kit.